This little Bright Starts Remote makes me laugh!! But, it makes Baby Alice ecstatic!! Baby Alice is so fascinated with our remote control that when this one for her arrived we were GIDDY!! 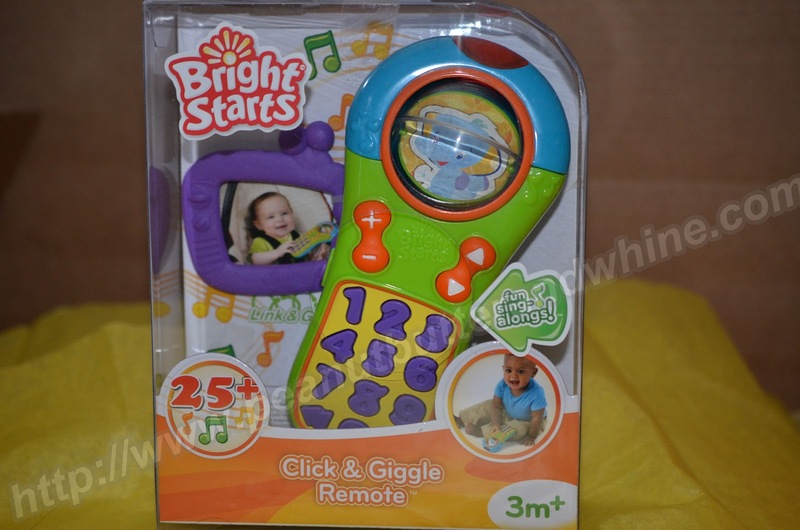 Let us introduce you to the Bright Starts Click & Giggle Remote. Look at that face?! Alice takes her remote VERY seriously!! Don’t let that serious look fool you she doesn’t put it DOWN!! She LOVE’s this thing! Really? What’s not to love?? When you change the channel it sounds like a real tv! You hear the sounds of a baseball game, cartoons, children laughing. There are 25+ songs and silly noises. 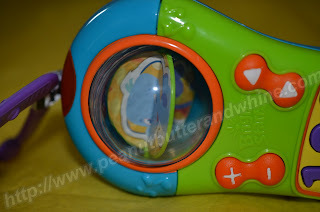 Push the buttons and the light on top flashes. There is a spinning rollerball on the top with 3 sweet characters. 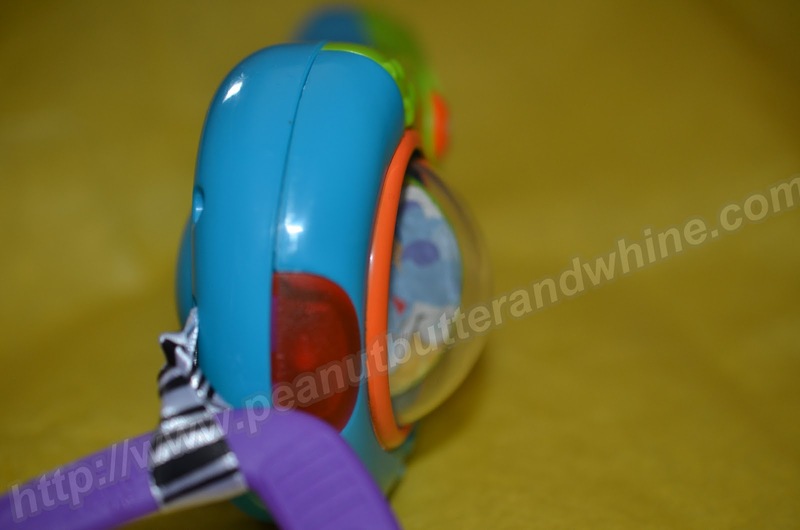 A ribbon loop at the very top and the Giggle & Click remote has a removable ring to attach to a stroller or carseat. There is an OFF button!! WOOO HOOOO!! I wish all toys came with an off button!! SEE??? This is what makes Bright Starts stand out!! They think of the little things… like the sanity of parents and grandparents!!! The button also has loud and softer mode. 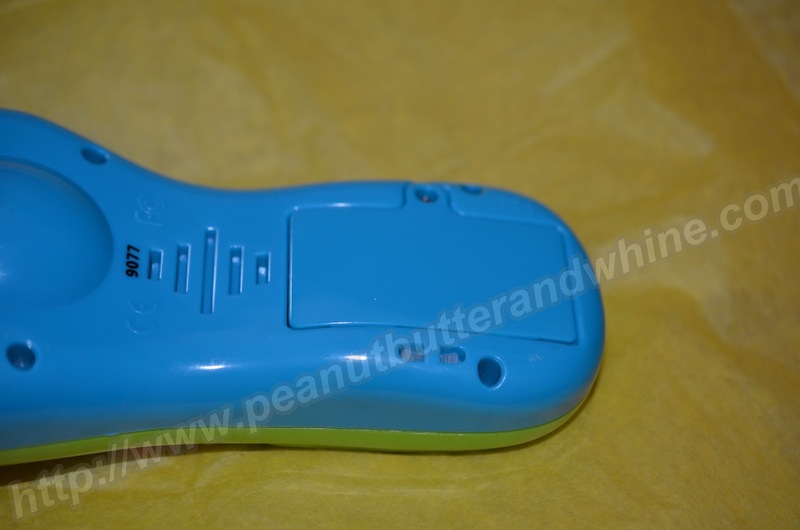 The remote comes with batteries already installed and runs on 2 AAA batteries. Alice and I give the Bright Starts Giggle & Click Remote 4 thumbs up for cuteness and toughness!! Bright Starts supplied the Giggle & Click Remote for Alice and I to write our review. All opinions are 100% Alice and mine. Bright Starts products are available on line or at Walmart. I LOVE LOVE LOVE THIS! What a cool idea, now we dont have to give her the remote for the DVD player. Whew! 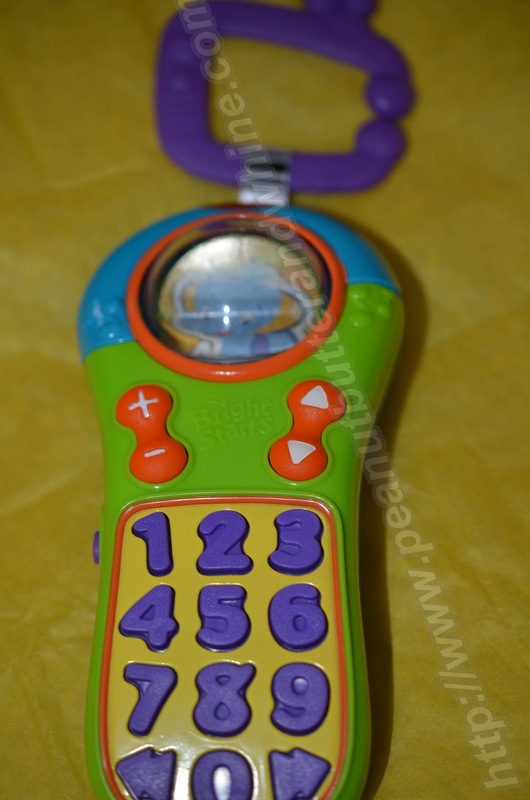 It’s so cute and it has the best sound effects! Another Home Run Bright Starts! And no comment about the end of the video? LOL?? 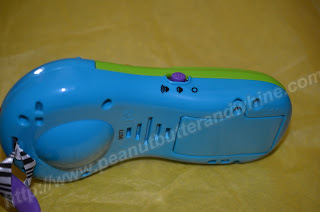 Diane, this is the funniest remote! Alice got one of the buttons going so fast it really sounded like she was changing the channel. Cracks me up!! Now if only I got MY own remote! LOL!! Sunglass Warehouse Review and Give-it-Away!! !